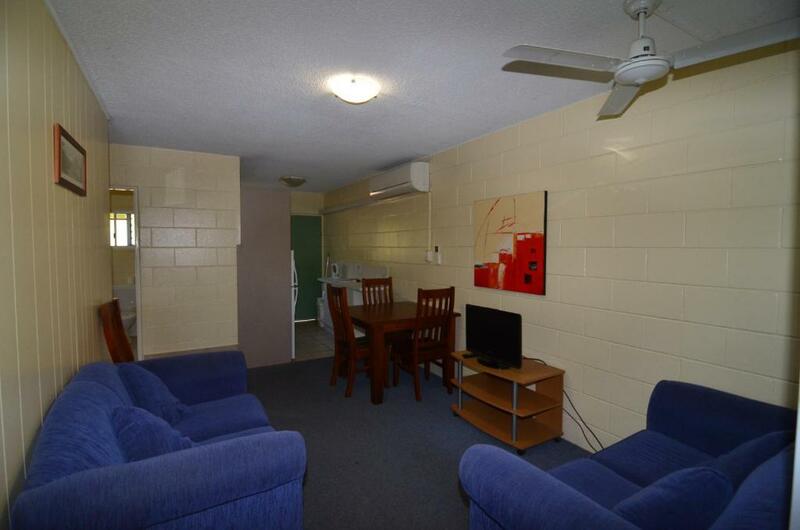 Location was close to public transport (train, bus) and easy walking distance to a huge shopping centre with everything a family might need. It was Easter and there were plenty of activities for our 2 boys (aged 4 and 7 years). Safe and quiet. The location was brilliant, the birds chirping in the little forest were beautiful. Everything we needed was included in the apartment. Staff lovely and professional. I thought this was very good value as the hostel and backpackers are charging almost the same fee but at the forest lodge you can get a two bedroom suite with kitchenette and private bathroom, not to mention free parking and there is a nice little pool that is perfect for cooling off in after a long hot day. Shopping and transport just steps away. We liked the tropical gardens with all the birds - especially in the morning. The pool area was also good. It is a little oasis in suburbia. The room was a good size and the bed was comfortable. The area around the apartments was very clean and tidy. The pool area looked very nice. Quiet as advertised, staff helpful bast as they could. The location was close to what we wanted. The room was clean and comfortable. The property met my family's expectation as I was travelling with my spouse, 2 kids below 5 and my baby sitter. My kids were able to play outdoors, use the pool and run in between the "mini" forest. They loved it. 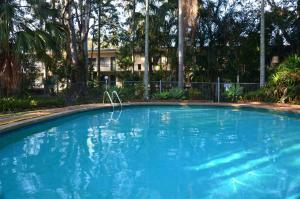 it's also within walking distance to Indooroopolly Shopping centre, train and bus stations. Staff are very friendly and I would like to personally acknowledge Spencer, the nice lady at the reception who ensured our stay was comfortable with all expectations met since the arrangement of the booking, during our stay and until we checked out. We will surely book this place again. 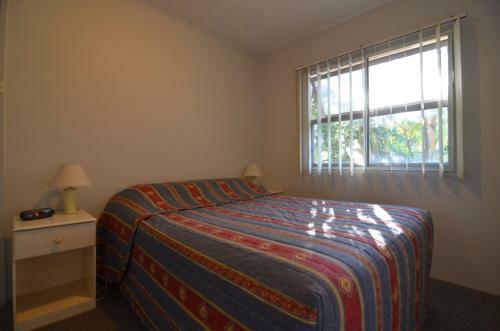 Good location for us, close to shops and 20 minutes to the city (not in rush hour). 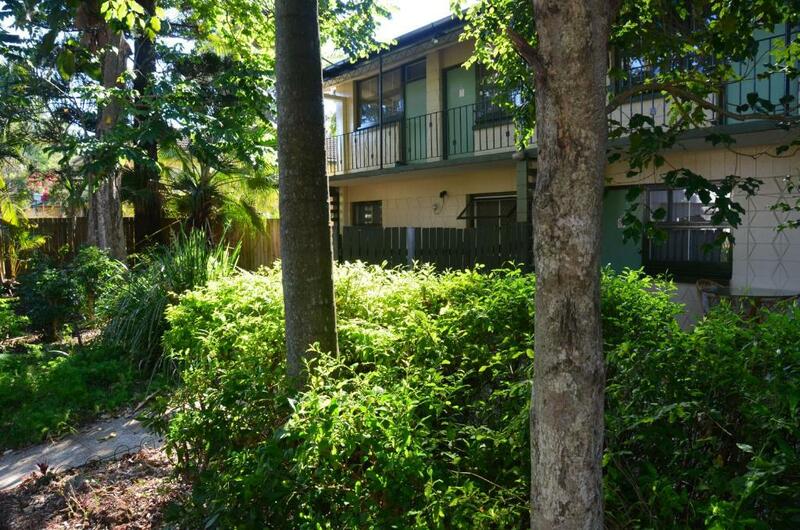 Forest Lodge Apartments This rating is a reflection of how the property compares to the industry standard when it comes to price, facilities and services available. It's based on a self-evaluation by the property. Use this rating to help choose your stay! 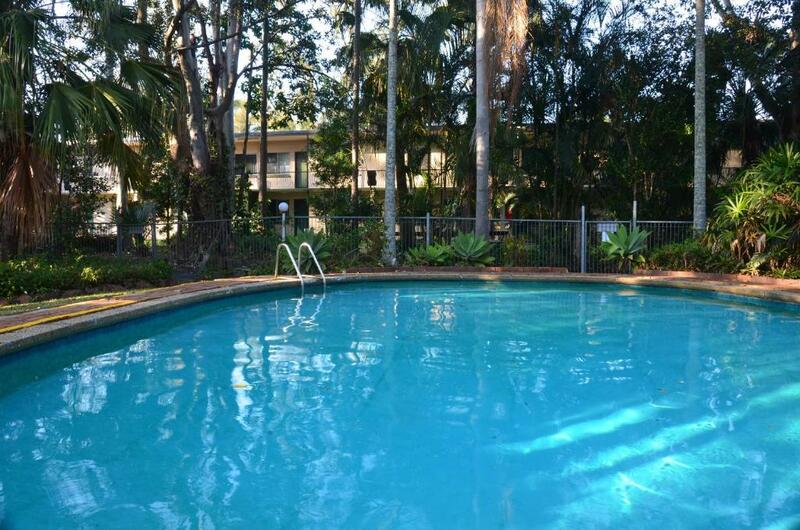 Set on 1.5 acres of tropical gardens, guests at Forest Lodge Apartments can enjoy a swim in the pool or create a tasty meal on the BBQ. 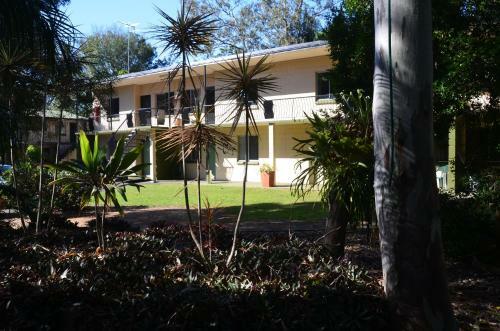 The property offers self-contained accommodations with free WiFi and free on-site parking, just 10 minutes’ drive from Suncorp Stadium. Forest Lodge is conveniently located 10 minutes’ drive from the University of Queensland, Brisbane city center and Lone Pine Koala Sanctuary. Brisbane Airport is 25 minutes’ drive away. After a long day you can relax on your private balcony or patio, offering garden or pool views. Each apartment has a fully equipped kitchen and an open-plan dining and lounge area with flat-screen satellite TV and a DVD player. 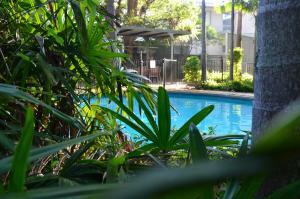 When would you like to stay at Forest Lodge Apartments? 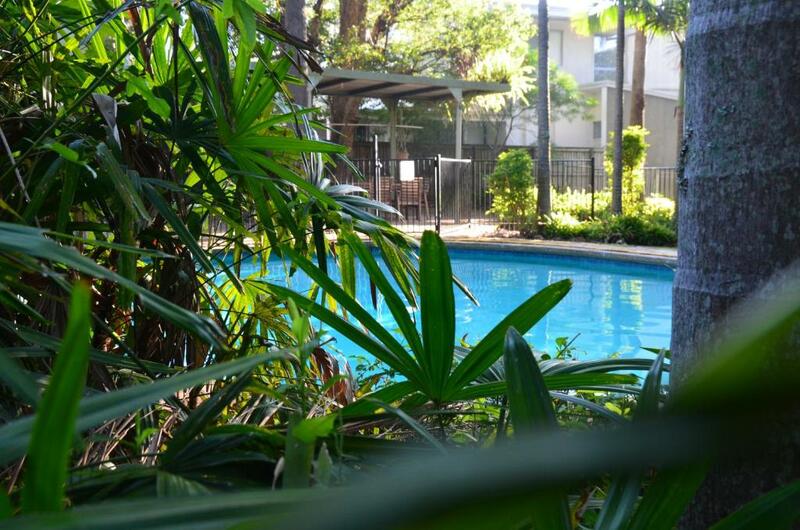 This quiet, air-conditioned apartment offers garden or pool views. It has a fully equipped kitchen and an open-plan dining and lounge area with flat-screen TV and a DVD player. House Rules Forest Lodge Apartments takes special requests – add in the next step! All children under 2 years are charged AUD 8 per night in a crib. Debit card Forest Lodge Apartments accepts these cards and reserves the right to temporarily hold an amount prior to arrival. Forest Lodge Apartments accepts these cards and reserves the right to temporarily hold an amount prior to arrival. Please note that the office opening hours for Saturday and Sunday are from 08:00 to 12:00, and 08:00 to 10:00 on public holidays. If you arrive outside the office opening hours, you can collect your apartment keys from the green key box at the office door. Apartments are only serviced every 7 nights for linen and every 3 nights for towel change. The accommodation was more backpacker standard than family friendly. The rooms needed proper cleaning around skirting boards etc. Handyman work was shoddy eg bedroom door handle was badly screwed in and the screw was dangerous. 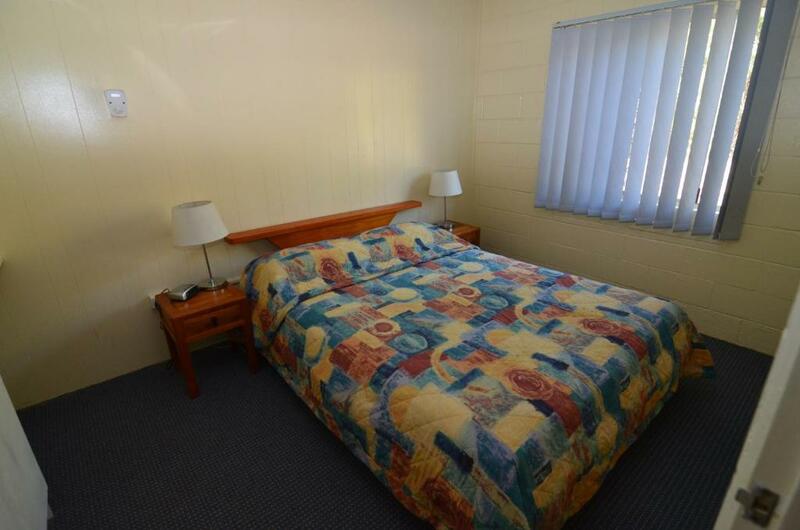 Main bed was small by Australian standards. One of the advertised features of the place was a lovely pool area. It is lush and clean but was very cold. Our boys refused to stay in for more than a couple of minutes at a time. The most disappointing thing was that when we asked for a couple of hours extension due to our late flight back to the UK we were asked to pay another full night’s accommodation. The owners had the opportunity to show some understanding and simple human kindness. But instead they just wanted more money. We suggest that families give this unfriendly place a miss! Older place but in a beautiful tree filled area, great rooms, comfy firm beds. Quiet and lovely staff. Cockroaches!! Turned on the air conditioner and a cockroach came out. The next night found a cockroach in the kitchen cupboard and the necy morning one on the ceiling above our bed!! Disgusting! Also many stains on the carpet and lounge was not clean. The bin and area around it was not clean and old food stains on the wall. Also only provided with one roll of toilet paper fpr one weeks stay. 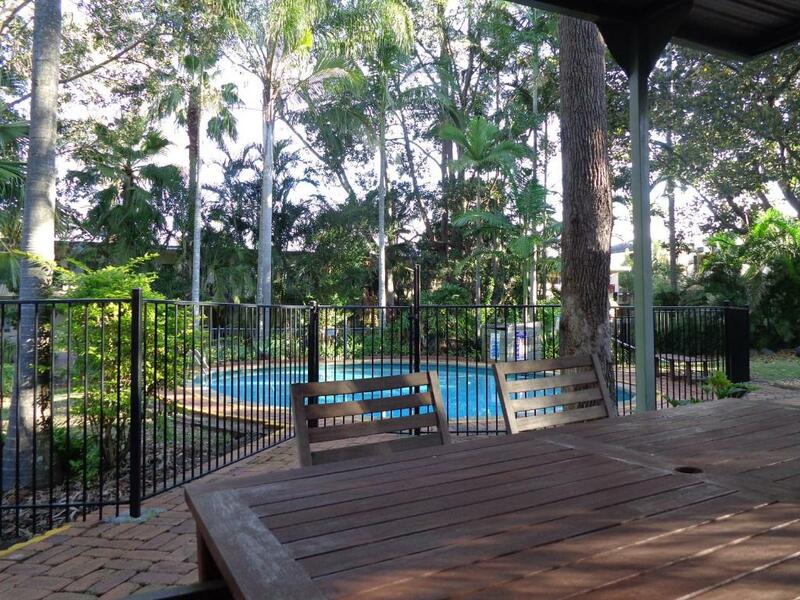 Close to the CBD & big shopping prescient Indooroopilly. It is old and tired. The bed was okay. The location was very close to where I needed to be. Lots of steps to get into unit. Beautiful setting. Compact apartment, perfect for a quick stopover. The location was excellent & the air conditioner was as well. Excellent unit with all facilities.